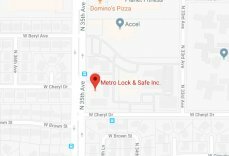 Change Locks Phoenix | Local | Metro Lock & Safe Inc. There are many reasons to change locks in Phoenix. Break-ins and employee changes can leave a lapse in security that needs patching. Unexpected renter and relationship changes can also necessitate the need for lock changes. 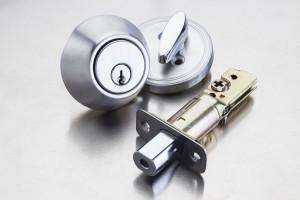 Older locks can also become more difficult to use, providing less security in the process. When you need a fast, reliable lock change in Phoenix by trusted local professional locksmiths, trust in Metro Lock & Safe Inc. When you need to change locks on a house or business in Phoenix, there are some excellent reasons to hire a professional locksmith. In addition to providing you with the fastest way to change a lock, we also have access to the best door locks. Our brand name locks are designed to last a long time, and come in a variety of options depending on your security needs. If you want to change your lock style to increase your door security in Phoenix, it can be a great opportunity to do so. When we change locks in Phoenix, we can also change the lock type. Our locksmiths have a variety of locks at their disposal. These include keyless door locks, fingerprint door locks, and combination lock options. We don’t just change your front door lock though, we can provide you with full lock changes for every entrance in your house. Changing Door Locks – Our varied options when you need to change locks for your doors mean you get exactly what you want, how you want it. Modern door security options let you control access and protect loved ones better. Changing Gate Locks – For many business and homeowners, security begins at the gate. If you need an upgrade, or your gate has been compromised, we can provide the necessary changes to re-secure your property. Changing Window Locks – Many older model windows don’t have the same security features newer windows do. We can retrofit your existing windows with the latest locks to increase your personal safety. Changing Sliding Door Locks – We can change sliding door locks that have been compromised or don’t provide enough security. Sliding door locks shouldn’t be easy to compromise, so if yours open with a quick jimmy, don’t wait on a professionally installed sliding door lock. Latch Installation – Door latches and window latches are essential locking mechanisms that can become damaged over time. Whether you need traditional window bolts, door bolts, or something more stylish, we’ve got durable brands at great prices and the professional installation needed to provide total security. With affordable, reliable, and friendly services, when you need to change locks in Phoenix call (602) 663-9828 or contact us today.